Git's BIG SKY MOTEL is located at Git's Towne Centre, downtown Columbus. 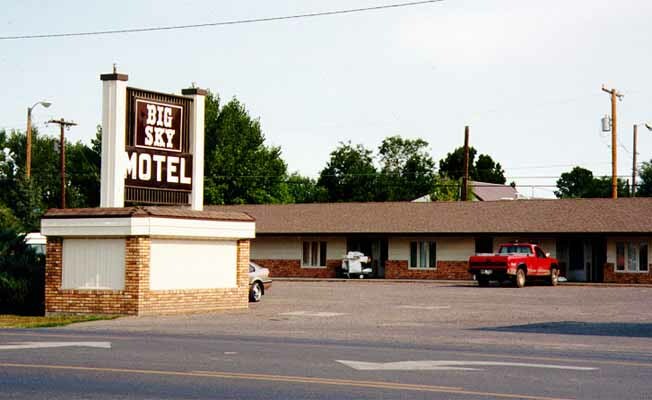 The motel offers clean, comfortable rooms at affordable rates. All rooms are at door parking, Complimentary morning coffee is available in the motel lobby. Restaurants are within walking distance. Git's Towne Centre complex includes a convenience store, Conoco gasoline and a public Laundromat.